Melanoma is one of the most common skin cancer in the US. Ranking fifth in the list, it proves fatal to 10,000 Americans each year. 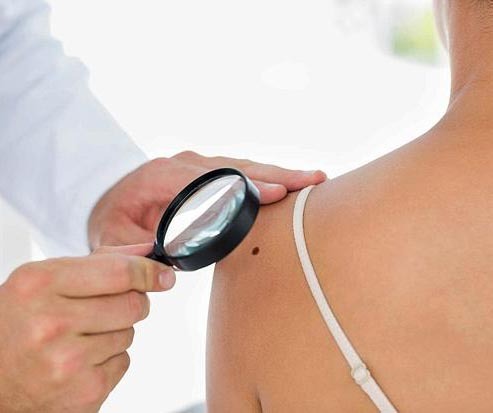 Almost 80,000 Americans are diagnosed with cutaneous melanoma annually. Most of the time, these people afflicted with the disease are not aware of the harmful effects brought about by too much sun exposure and the lack of sun protection for the skin. Exposure to UV rays remains the top cause of cutaneous (skin) melanoma. Based on research, 90% of skin melanoma cases is caused by over exposure to the sun or from indoor tanning beds. The remaining 10% is something of a mystery since there is no available research or medical study that can pinpoint other causes. However, family history of melanoma, fair skin, numerous moles (especially those present at birth), weakened immune system, old age and being male increase the chances of contracting cutaneous melanoma. For those who drink coffee an average of four cups a day, researchers found that their risk of acquiring melanoma went down to 20%. The positive effect was seen among drinkers of caffeinated coffee but not among decaf drinkers. Furthermore, the effect was observed in melanoma but not in melanoma in situ. One of the benefits of coffee is its ability to block molecular pathways for cancers caused by UV rays. Coffee has been shown reduce inflammation, prevent carcinogenesis or the development of cancer, decrease DNA cell damage and minimize oxidative stress. The authors pointed out, however, that there were previous studies done on the connection of coffee and cancer. Several studies turned varied results. One study found that the effects were only seen in women but not men. Another study found that coffee reduced the risk of basal cell carcinoma but there was no positive effect on melanoma. Due to these mixed results, more study is still needed to establish the connection of coffee and melanoma. Furthermore, studies on different aspects of coffee drinking also make things complicated. For instance, there was one study that observed people under the age of 55 who drink coffee more than four cups daily on an average end up dying early than those who do not consume that much coffee. For this reason, coffee drinking is still not promoted by doctors to high risk people. Aside from reducing melanoma risk, coffee is believed to decrease the risk of developing Parkinson’s disease and Alzheimer’s disease. As the connection between coffee and melanoma needs to be researched more, the best way to protect yourself is to keep skin protected with sunblock lotion when under the sun.